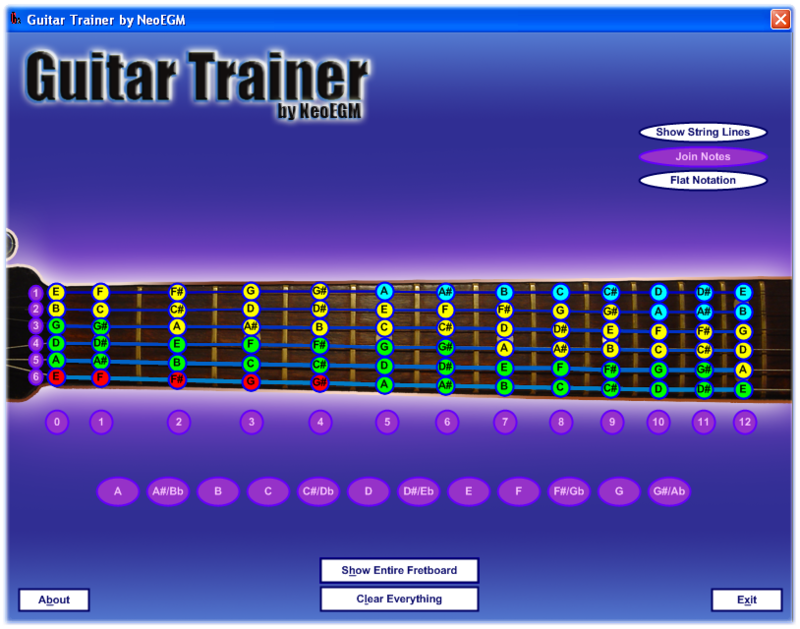 Published on July 25, 2009 in Guitar Tools, Music Tools and Tools. 12 Comments Tags: C, Download, Freeware, Fretboard, GNU GPL, Music, Open Source, Source Code, Tool, Train, Visual Studio, Windows. 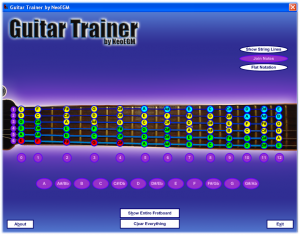 Guitar Trainer is a program I’ve written to make easier the learning of the position of the different notes in the guitar fretboard. There are lots of features pending to be implemented (including sound, different scales, guessing game by position and by sound, etc. ), but it’s quite useful with its current functionality.